Although we are family owned, we also employ over 40 employees who are at your service and dedicated to providing you with high-quality service, quick turnarounds and efficient deadlines. The pillars of our business are integrity and excellence in both work quality as well as customer service. We strive to be your renovation contractor for life as we help restore and rebuild your commercial or residential property to all of its glory. Our renovation services are aimed at making your life easier. 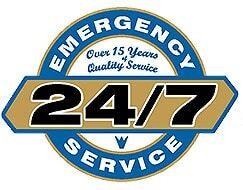 From 24/7 emergency response, to providing free quotes and being on-site for insurance adjuster inspections – Valleywide Restoration is committed to putting your best interests at the forefront. Please contact us today for a free (no obligation) assessment of your project.